The tragic demise of Philip Seymour Hoffman has cast a pall of gloom in the entire film industry in Hollywood. This brilliant yet understated actor was considered to be one of the finest in his generation, by many leading critics and film houses. In an unparalleled movie career, Philips Seymour Hoffman had not only lent his credibility on film but also delivered acclaimed stage performances, showing him not only to be a hugely talented thespian but also an almost-perfect method actor. His acting ability led him to garner four Oscar nominations in seven years — winning the Best Actor Award for Capote (2006) and subsequent Academy Award nominations for The Master, Doubt, and Charlie Wilson’s War. Hoffman had a relatively small role in the movie as George Willis Jr., but it cast him in the limelight and helped him establish a name in Hollywood. Because of his mighty on-screen support with Al Pacino and a glimpse into Hoffman’s acting chops, Scent Of A Woman is considered to be the launch pad of Hoffman’s debut in Hollywood. In a wacky satire that has become a much sought after cult movie, Hoffman had an unforgettable supporting role. He played Brandt, an oily, sanctimonious personal secretary who is given the unhappy task of mediating between the two unrelated Lebowskis. Hoffman was both hypnotizing as well as absolutely persuasive as Truman Capote as he scrutinized the definitive true crime book — In Cold Blood. 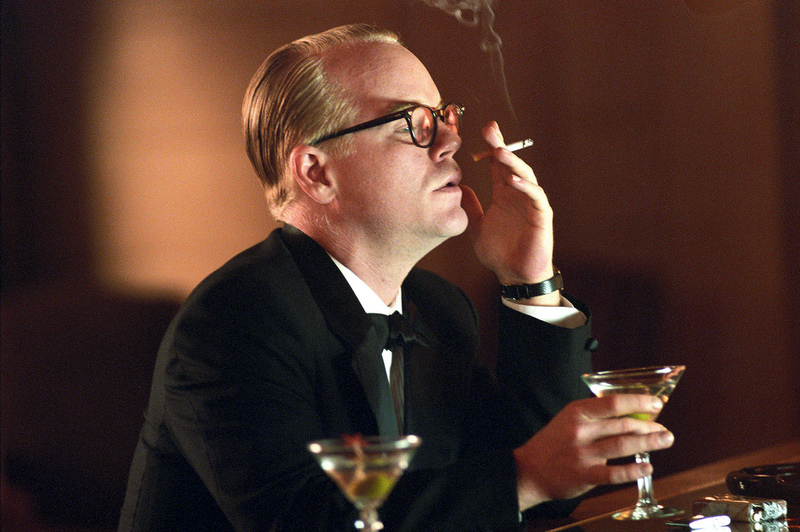 Capote was an electrifying character – Hoffman captured the articulation, tone, physical demeanour and repartee of Truman Capote – that won him the Best Actor Academy Award he so richly deserved, over another prodigious rendition – Heath Ledger in Brokeback Mountain. Enacting the role of Father Brendan Flynn, Hoffman played a parish priest in Doubt, who is warring with the conservative principal of a Catholic school (Meryl Streep) who suspects that the priest is conducting himself unsuitably with an altar boy. If there is a benchmark that is regarded as proof of an actor’s proficiency or expertise: it should be this — acting alongside Meryl Streep. More than up to the challenge, Hoffman earned himself yet another Oscar nomination in Doubt. The Master saw Hoffman portraying the leader of a mysterious cult, as Lancaster Dodd. Rumours were rife that the cult depicted in the movie known as The Cause was based around Scientology and Hoffman’s character revolved around Ron Hubbard, although it was never confirmed. Playing a complicated, morally distressing persona, Hoffman as Lancaster Dodd was magnetic in his depiction as a cult leader who charms a mentally damaged sailor, played by Joaquin Phoenix. The Master was Hoffman’s final Academy Award nomination, and although he did not win that year, he received an astounding 17 awards for his performance across the world and in various film festivals. The latest blockbuster to hit the silver screens before his untimely demise, The Hunger Games: Catching Fire may not have been Hoffman’s finest or the best movie to date, but was the top grossing movie last year. Hoffman had the distinction of providing critical acclaim to sensitive movies as well as lending credibility to commercial success.